2,000,000 home burglaries are reported each year in the United States. About 30 percent of all burglaries are through an open or unlocked window or door. Nearly 66 percent of all burglaries are residential (home) break-ins. Renters are just as likely to be the victims of property crime as homeowners. The highest percentage of burglaries occur during the summer months. Homes without security systems are up to 300% more likely to be broken into. What can you do to prevent a home invasion? - Talk to your kids, make a plan IF a home invasion ever happened - And practice it! - If you're home alone and someone knocks on the door, yell "I'll get it!" giving the impression you're not alone. - Demand identification from anyone (utility worker, repair workers) who comes to your door. Look up the company name YOURSELF and call to confirm. - Keep mace/gun (only if you have no kids! )/baseball bat/phone/wasp spray by the front door so you don�t have to leave it to get it. - Plant large thorny bushes around first floor widows. They can prevent people from getting to the window and collect DNA or clothing shreds from anyone who comes into contact with them. - Place alarm stickers on windows or doors even if you don't have one. - If you have an alarm, make sure it's not near a door or window where someone can see from the outside if it's set or not. - Regularly make sure all of your doors and windows are locked, especially the ones you rarely use. Kids, guests, or utility worker could easily unlock them without you knowing. 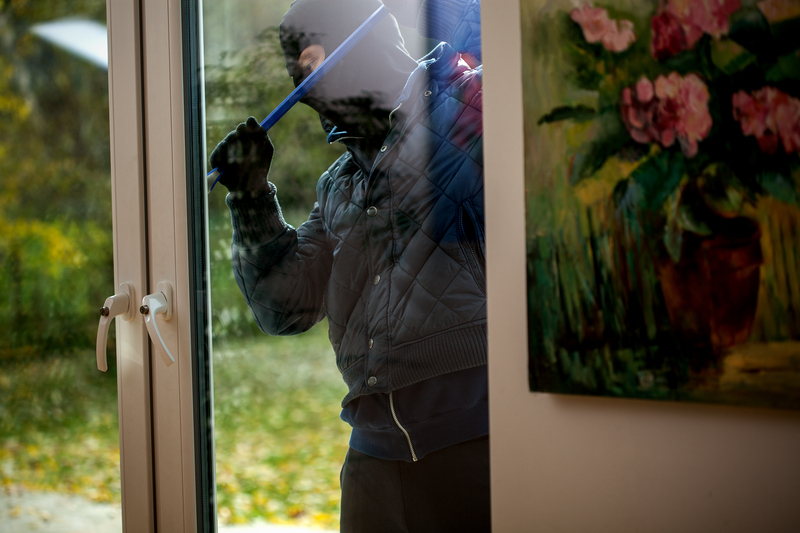 We hope you never experience a home invasion, but if you do, you will know how to handle it! How can you protect yourself from an intruder? -Take a self defense class. You can involve your children in this as well. -If you own a weapon, take a class to know how to use that as well. -Stay calm and cooperate with the intruder. Your life is not worth losing over your property. You should only use a weapon or self defense if needed. -Avoid looking in the intruder's eyes. The less they feel threatened, the less violent they become. The after-effects of a home invasion is pretty scary. Make sure the first thing is done once the intruder leaves, is call the police. Resist touching anything or taking a shower (if you had any contact). Hopefully you can recall everything about the intrusion if you were home. Did you document everything you had in your house? Right now would be a good time to give those over to the police. You will also need to get with your insurance company and start a claim with them. Once the police are gone and you are left to clean up, you might be angry at what had happened, but at least you have your life. And for that, you cannot be more thankful. Do you have anything to add, tell us below by commenting in our blog section! You can tell us your safety tips as well as stories you would like to share with the public! Have a great rest of your summer!